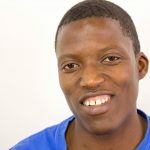 Chester was born in Gweru Zimbabwe, several years ago; he started out as a shop assistant in Nyazura. A small farming (then) town east of Zimbabwe then worked magic on women’s hair, from Bobs to fringes. The smell of perm lotion forced the great trek to the big city where he furthered his studies in accounting before queer activism finally struck. Starting off as an office administrator in the big city wasn’t easy as he had a special interest in advancing human rights of gay communities. As a gay activist, he is involved in advocacy and ensuring GALZ visibility in a number of sectors. 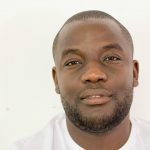 He spends his time analysing as far as possible, political developments and their implications on citizens with particular interest in LGBTI communities. He has become the GALZ face and voice in the media and ensures continued visibility of GALZ nationally and internationally as a legitimate player in the human rights arena. Chester loves baking. Join him in the struggle for equality in Zimbabwe. Samuel worked as a high school teacher for six years teaching Religious education, English, Shona and later as an ART and Design teacher before joining GALZ. Matsikure joined GALZ as a programmes Officer providing counselling other Health services to LGBT community members and their families. He rose in the ranks to become the Health programmes Manager, through organizational restructuring was appointed Programmes Manager. Sam as he is passionately known by his colleagues and friends holds a Diploma in Higher Education, Diploma in Family Therapy with Zimbabwe Institute for Systemic Therapy, a Bachelors Honours Degree in Sociology and Gender Development and an Alumni of Columbia University a Human Rights Advocacy Program Fellow 2016. Sam has been trained in other courses in LGBTI programming, Management and research. Gilbert is Responsible for finance, accounting, administration, grant management and human resources in GALZ. Kunyarimwe Joined GALZ in June 2010 as the Operations Manager. Kunyarimwe holds a Bachelor of Accounting, CIS and IAC graduate. He has 20 years experience in Accounting and administration work and 10 years in senior management. GK as he is well known by his colleagues has been involved in programme management by translating the vision, policies and objectives of GALZ into action both in the long and short term and ensuring continued visibility of the organization nationally and internationally as a legitimate player in the human rights arena. 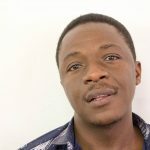 Deloune is 2018 AVAC Advocacy Follow from Zimbabwe who is implementing an advocacy project aimed at increasing PrEP uptake among MSM and Transwomen as well as creating a supportive environment for improved SRH and HIV programing for LGBTI people. 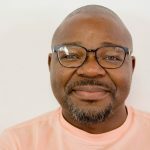 He is a Public Health Programmer, Researcher and Sexual Reproductive Health Rights (SRHR) Advocate who previously worked in the Ministry of Health and Child Care and the National AIDS Council of Zimbabwe before joining GALZ as an Advocacy Officer in April of 2018. Deloune has also served as Secretariat to the National Young People’s Network on SRH, HIV and AIDS (YPNSRHHA), a consortium of the youth serving organizations in the national response to HIV and AIDS in Zimbabwe. 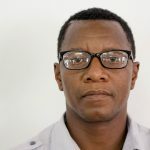 He is also an Executive Committee member of the Health Promotion Association of Zimbabwe (HEPAZ) since 2015 and a member of the National ASRH Coordination Forum which is coordinated by the Ministry of Health and Child Care. His drive towards evidence based public health programming and advocacy has seen him publish 2 research papers in 2017. Sylvester is based at the GALZ Headquarters in Harare. 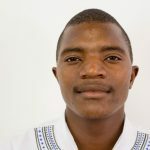 A Sociology graduate with the University of Zimbabwe, Nyamatendedza is a holder of a Masters Degree in Development Studies with Midlands State University. 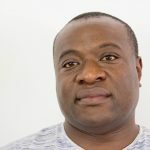 Sylvester has over five years experience in working with the LGBTI community providing counseling, para-legal support, documenting human rights violations, working with friends and families of LGBTI, sensitizing Health workers, lawyers and journalist on how to meaningfully and sensibly work with the LGBTI community. Prior to joining GALZ, Sylvester worked as an Administrative assistant and Research assistant. A Graphic Designer, Tech and Visual Arts Enthusiast and a Communication Science student, Tash has been working with GALZ for five years. Tash oversees GALZ’s Communications and Media Advocacy; managing and supporting GALZ’s work to conceptualise, build and strengthen the organisation’s brand and visibility and fulfilling GALZ’s communications and media advocacy strategy with particular focus on promoting GALZ’s strategy and national priorities to its stakeholders. 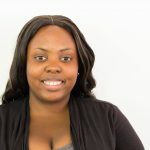 She began working at GALZ as the Youth Coordinator, whose role focused on empowering youths to articulate their own issues and advocate for inclusivity in the youth mainstream. Tash is currently studying with UNISA. She is also a Digital Security Trainer, technology geek, occasional blogger, photographer and aspiring film maker. 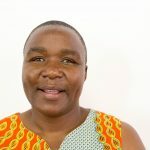 An activist with qualifications in Gender and Key Populations programming, Tadios has experience in implementing community health programmes. Munyimani runs the GALZ sub-office based in Bulawayo. His main mission is to translate the vision of GALZ into action. 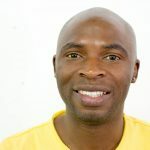 Based in Harare, Rodney has over three years experience in working with the LGBTI community. Rodney is in charge of Member-focused programming, Peer Educators coordination, membership services and coordinating HIV programmes. Raymond Kuyala attended the University of Zimbabwe (UZ), receiving an upper second class BSc Honours in Sociology in 2014. He then proceeded to do his MSc Sociology and Social Anthropology at the University of Zimbabwe, receiving a Merit class in 2017. His interest ranges from Law, Human Rights, Legal Anthropology, Social Anthropology, Gender and Sexuality. His interest in sexuality and subcultural groups has seen him writing and advocating on a number of issues particularly affecting sexual minorities. 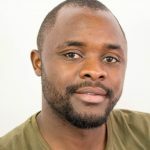 To date his writings centres around key populations, HIV and AIDS advocacy, Human rights violations and queer spaces in Zimbabwe, Africa and the globe. He is a recipient of the Other foundation grant on individual Researchers. He is an independent Research consultant and Programs Officer at GALZ.